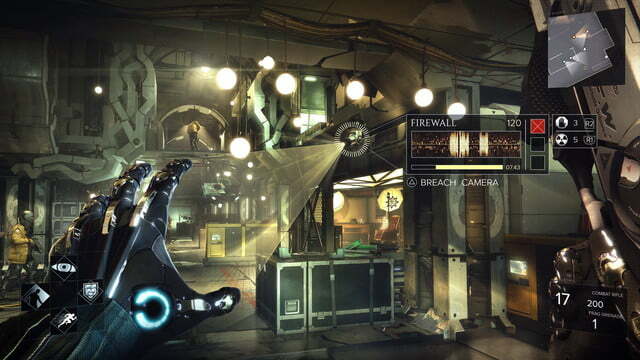 Deus Ex: Mankind Divided delivers on the franchise's classic cocktail of open-ended, action-stealth gameplay. Cyberpunk should be having a moment. The 1980’s sci-fi niche — defined global megacorporations, omnipresent surveillance, rebel hackers, and an increasingly blurred line between man, machine and information — envisioned a dystopia increasingly similar to the world as we know it. Ion Storm’s original Deus Ex (2000) is both a hugely influential video game and a stellar example of this prescient genre. With a controversial marketing campaign employing charged phrases like “Mechanical Apartheid” and “Aug Lives Matter,” Deus Ex: Mankind Divided, the latest entry in the series, seems intent on invoking that history to make a bold entrance. It promised to be more than just an entertaining and well-crafted action RPG — a game that will make you think about real world issues. In the former it unquestionably succeeds; the latter is more complicated. 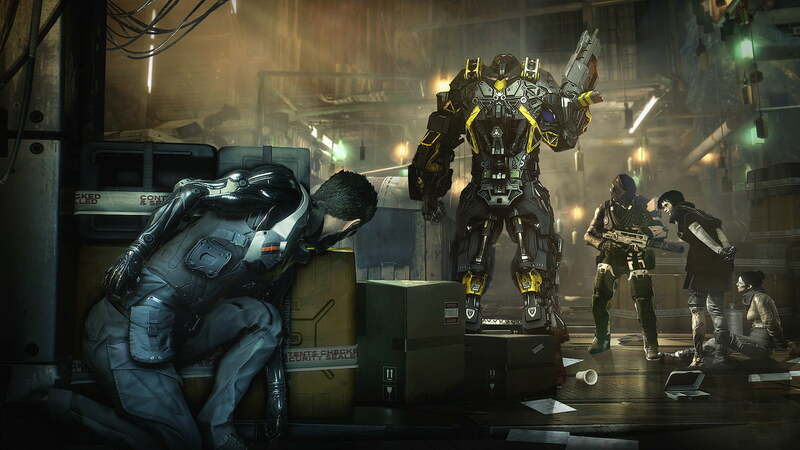 Deus Ex: Mankind Divided excels as an evolution of the franchise. 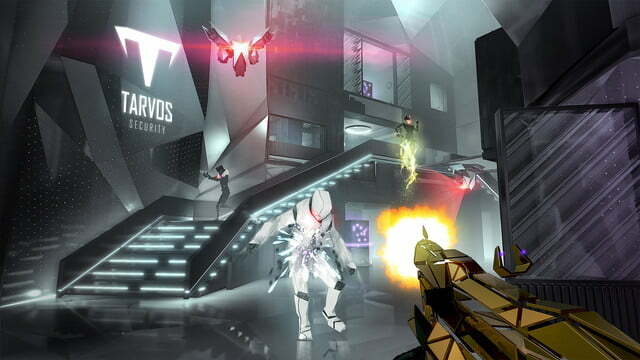 It intelligently moves the series forward, improving upon its predecessor, Deus Ex: Human Revolution, in nearly every way. However, while its attempt to address real world issues is admirable, like Icarus flying too close to the sun — an image used prominently in the game — the game fails in its ambitions to deliver the topical, zeitgeist-defining cyberpunk narrative we deserve. Mankind Divided is set two years following the events of Human Evolution, which climaxed when nearly all of the world’s cybernetically augmented people were suddenly triggered to go temporarily insane and attack everyone and everything around them. The attacks, colloquially referred to as “the Incident,” have pushed the tension between augmented people (“augs”) and unaugmented people to its breaking point. 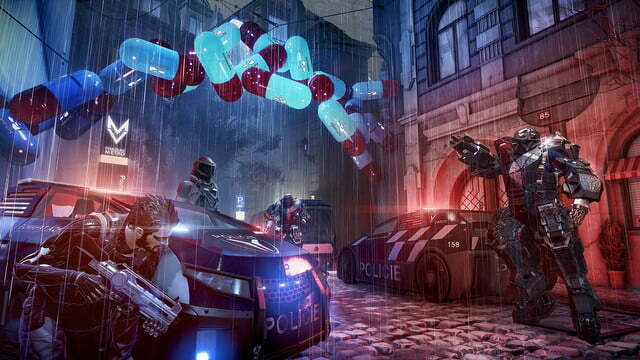 Prague, where most of Mankind Divided is set, has become a brutal police state, with augs restricted to certain parts of the city and treated as second-class citizens. 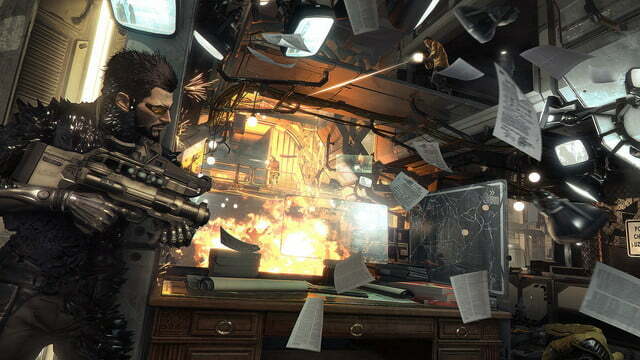 Into this mess walks protagonist Adam Jensen. Human Revolution’s gravelly-voiced cyborg protagonist has left his private security job at augment manufacturer Serif Industries, for Interpol, where he’s part of Task Force 29, a special unit dedicated to dealing with the rising tide of augmented terrorists. A mission gone awry in Dubai and a terrorist attack in Prague send Jensen in pursuit of ARC, the Augmented Rights Coalition. However, unresolved questions about the illuminati from the previous game, along with his connections in the underground hackers of the Juggernaut Collective, have given Jensen a healthy skepticism that not all is what it seems. 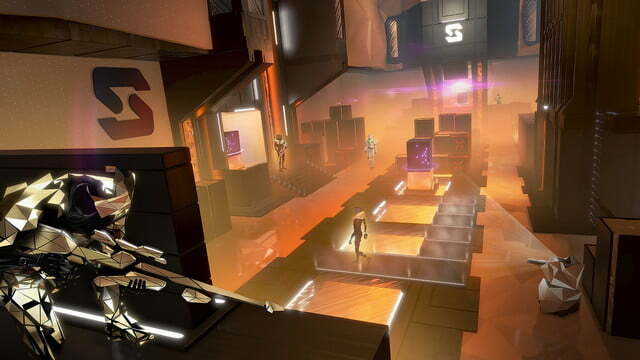 Mechanically, Mankind Divided plays very similarly to Human Evolution. Most of the action is set in Prague, where Task Force 29 has its secret underground office and Adam lives in a messy little apartment that’s more than a bit reminiscent of Deckard’s digs in Blade Runner. Jensen stalks around the city investigating the inciting terrorist incidents, occasionally flying elsewhere for a one-off story mission. Sidequests litter the city, pulling Jensen into all kinds of misadventures, such as hunting an aug-targeting serial killer, digging into Prague’s criminal underground, and even investigating his own superiors at Interpol. 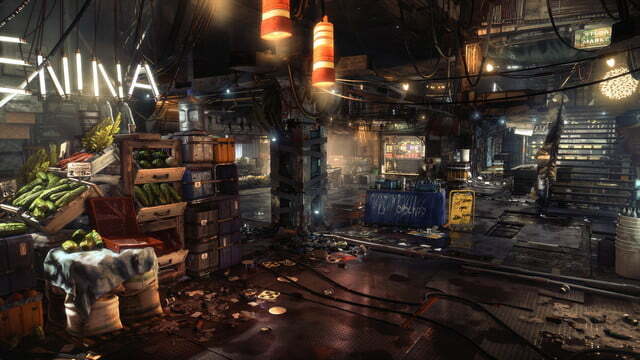 Mankind Divided improves on one of the Deus Ex’ core tenets, the ability to approach any situation with guns blazing, or by slithering through air ducts and hacking computers (or some combination thereof). More than many of its contemporaries (looking at you, Fallout 4), Mankind Divided does an admirable job of facilitating multiple approaches to working through a given objective. Whether you want to shoot, sneak, hack, or talk your way through a situation, Jensen has upgrades that will expand his options, allowing you to customize your playstyle effectively. Jensen’s system of cybernetic upgrades is in many ways the perfect framework for this sort of action-RPG character progression. Earning experience (or the occasional item found in the world) gives him Praxis points to spend unlocking or improving his abilities. Except for passive boosts and a couple that use discrete ammo charges, Jensen’s cybernetic abilities draw from the same energy pool. Though his energy recharges, each use drains the battery’s recharge cap a little bit on top of the expenditure, until you use an item to refuel. It creates a tight, elegant economy of action that forces players to use your abilities deliberately. In addition to his signature skills from Human Revolution, Jensen has a series of powerful new “experimental” augmentations. Uncovered early in the game, these add impressive abilities like wireless hacking, a wrist-mounted ranged electrical shock, or a sleek adaptive armor. These come at the cost of adding instability to Jensen’s system. In order to balance out these new abilities, he has to disable another. It’s a nice additional layer that adds balance, without overly complicating an already-solid system. 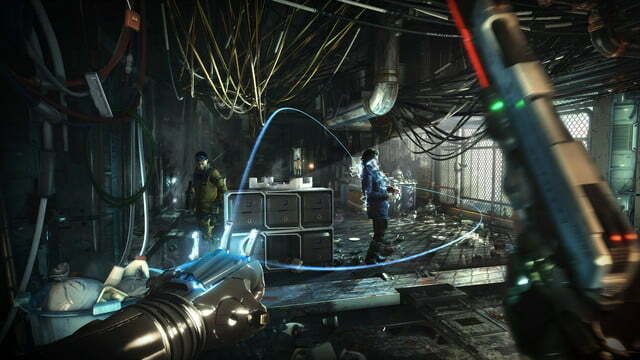 The shooting mechanics have been generally tuned up since and fleshed out since Human Revolution, with more combat-focused augs that give Jensen a more robust and effective range of options for violence, including special ammo types to swap on the fly (EMP, armor piercing), and new combat-oriented augs, such as the time-slowing Focus Enhancement, or the powerful Titan armor. 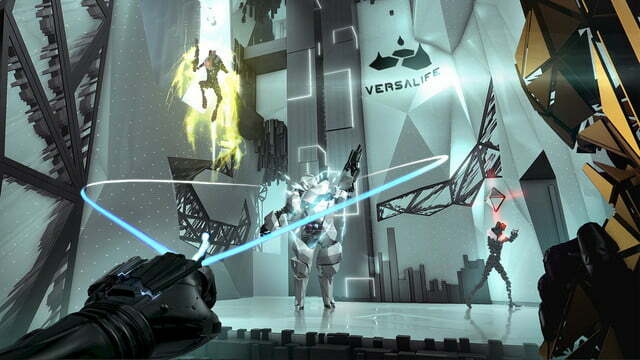 While Jensen has similarly fine-tuned features for enabling stealth as well, playing that way feels less impressive. 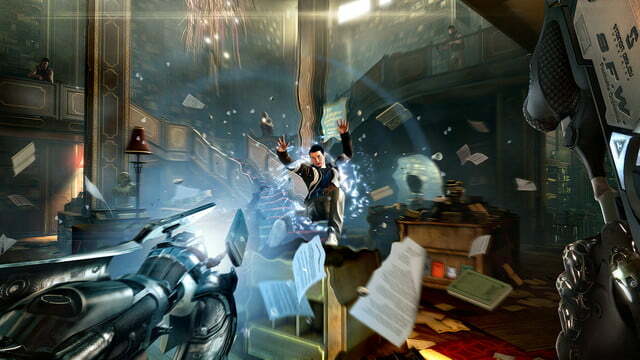 While Jensen’s sneaking feels solid, many stealth missions suffer from weak enemy AI. Most guards are just a bit too predictable, and seem incapable of searching for you outside of their prescribed patrol routes. 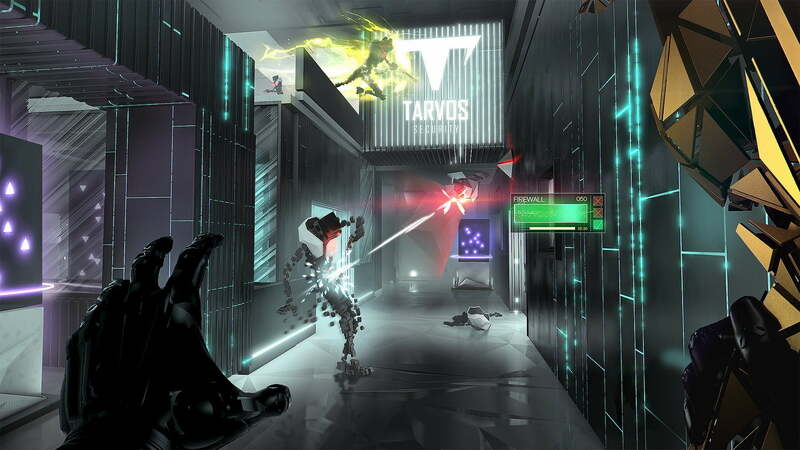 Games like Dishonored and Metal Gear Solid V had levels that felt like living entities existing independently of the player, with guards that would adapt and respond to them. 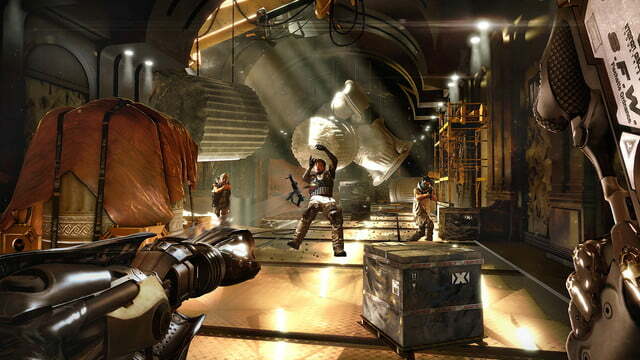 Taking the non-lethal path is still challenging and enjoyable, but Mankind Divided never quite shakes that mechanical rigidity of guards that exist for the player’s benefit and are easily outwitted. 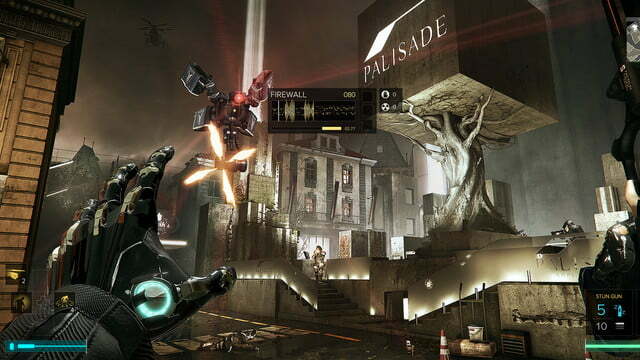 Player choice plays a central role in Mankind Divided’s story, as well. Trying to decide whether Jensen trusts his superiors at Interpol or instead confides in a contact for aug-activist group the Juggernaut Collective creates a general tension that shapes your decision-making throughout the game. In a few key junctures, he’s forced to make tough either/or choices where neither is clearly a “better” option. Prague has a pleasing density of people, places, and activities that feels organic and lived-in. Much like in the Fallout series, there is a lot of fascinating incidental storytelling to be found in hacking strangers’ email and other out-of-the-way places. The narrative substrate this creates goes a long way to making the world feel like more than just a series of levels designed for the player. The game is decently long, but not so overwhelming that playing through again on New Game Plus to see how different choices play out is an unreasonable proposition. 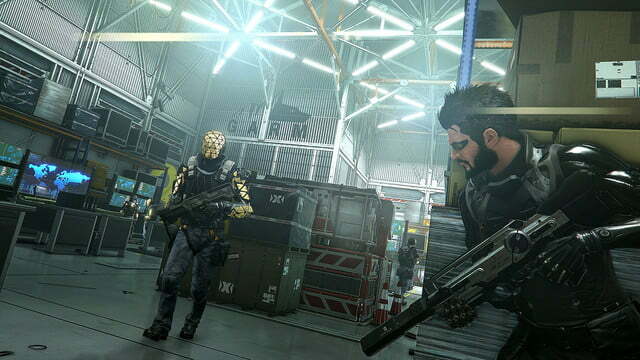 At the same time, Mankind Divided is emblematic of a general tension in contemporary AAA games: The desire to produce entertainment that appears politically engaged, but does not take a stance that might not sit right with some fans. In the struggle to be taken seriously as works of culture, games have been pursuing meatier, more complicated and topical themes. However, as corporate products aiming for mass appeal, they seem held back by a timidity about offending. 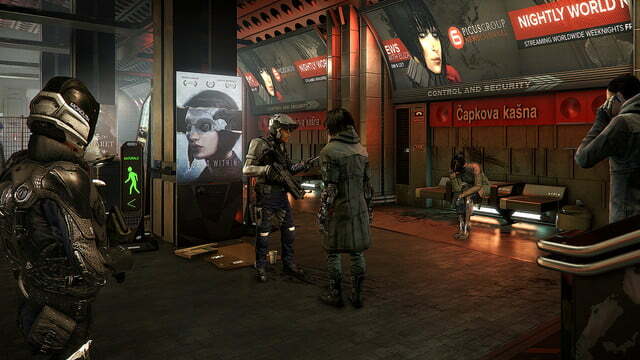 By co-opting the language of real world racial oppression as a shorthand to turn augs into an oppressed underclass, developer Eidos Montreal has made Mankind Divided a story about racism on some level. Race is something people are born with, however, and the game seems to ignore the socio-economic reality of who would be able to afford cybernetic enhancements. One of the merchants in game sometimes greets Jensen with “Do you have any credits? Usually you people with the robot arms and legs don’t have credits.” While internally consistent, the comparison lacks the nuance of seminal cyberpunk stories, such as the 1995 anime film, Ghost in the Shell, which also deal with the ethical and social implications of human augmentation. When asked by Polygon about whether the player should feel sympathetic to the oppressed augs, or if other people were right to be so wary, given the circumstances, executive art director Jonathan Jacques-Belletête said: “We never say in the game if we’re on one side of the debate or another. If you think they deserve it, that’s perfect. If you don’t think they deserve it, that’s perfect.” Art requires a point of view, though. Leaving choices in the game open to interpretation is not the same as using important and topical issues to draw people in, then refusing to take a stance. It’s more reminiscent of the enforced and artificial neutrality of American media on “debates” such as the existence of climate change. While there seems to be a genuine desire from the developer to address meaningful issues, whatever political message may have existed early on feels uncomfortably muted after going through the development process of a risk-averse AAA publisher. Many gamers rail against the injection of politics into games, which they feel should serve purely as entertainment. 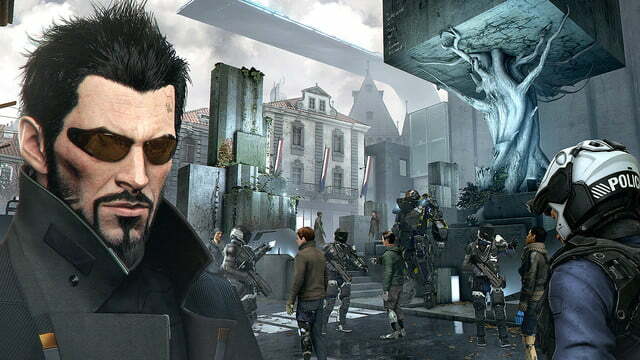 Discussing the politics of Mankind Divided, however, is unavoidable. You can’t be both political and apolitical at the same time. While its desire to draw parallels with real-world issues lacks teeth, that criticism wouldn’t be worth making if this weren’t an enjoyable game. As an intricate, entertaining, and genre-bending action-stealth RPG, Mankind Divided lives up to the Deus Ex legacy. It may not quite meet its larger narrative ambitions, but it’s still a hell of a good time. This game was reviewed on Xbox One with a code provided by the publisher.